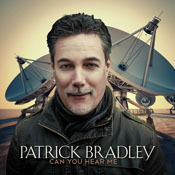 Patrick Bradley — Laguna Beach Live! Southern California native Patrick Bradley is a man on a reconnaissance mission to bring back engaging instrumental music from the sleepy predictable brink. Starting his musical life at age 8 on a bargain basement organ, the journey since has been rich. Self-taught, he faithfully played in church for seven years, explored the Beatles and Elton John, progressed (literally) into the headier thinking man’s rock of Emerson, Lake & Palmer and Yes (Keith Emerson and Rick Wakeman becoming major influences). He finally took classical music in college, but caught the jazz-rock fusion A-train, latching fast to genre pioneers Herbie Hancock and Chick Corea. Out of college, Bradley joined a 5-piece rock band called Joshua that released one album on Polydor Records entitled “Surrender” in 1986. Then at age 24, Bradley opted to focus on his wife and children, and a more solid business career in organic food retail. Bradley’s compositions feature thoughtful and energetic alternatives to the standard smooth jazz realm, richly inspired by life, philosophy and people dear to his heart, as well as reflecting Bradley’s roots in both jazz-rock fusion and progressive rock. Playing piano, electric keyboards, mini-Moog ‘Voyager’ synthesizer and his very first instrument, Hammond organ (a hair-raising sound rarely heard in music anymore), Bradley creates a sonic palette that straps you in for a scintillating aural journey then shoots for the harmonic spheres.